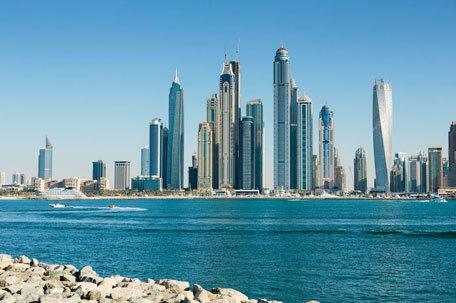 Dubai: Property investors seem more willing to pick up higher priced properties in Dubai — in the first three months, transactions of Dh1 million and more made up 64 per cent of the overall compared with 47 per cent in Q1-16. Simultaneously, today’s buyers are going back to larger unit sizes, which is also a stark departure from their 2016 preferences for smaller units at more modest prices, according to data from Reidin-GCP. This could also be a sign of improved end-user interest in recent buying activity, given their preference for larger units than is the market norm. “After a decline in the last three years, there has been a resurgence in transactional activity in the first quarter of 2017, confounding sceptics that had called for a continued decline in volumes,” the report adds. “A recent criticism suggested that the reason why activity is on the rise is due to the registration of previous sales. That some of Dubai’s older locations are faring well enough in the secondary market is something of a surprise. The belief in the market was that the sharp spike in off-plan launches in the last six months was solely responsible for most of the buying taking place. “We have witnessed a sharp increase in off-plan sales in Dubai South and Creek Harbor, testifying to the demand that is increasing at both ends of the spectrum in Dubai,” the report says. With Ramadan approaching and immediately followed by the summer break, developers should start slowing down on off-plan launches and take their chances — and better utilise marketing spend — from September. An enforced slowdown could also benefit the market in another way — some market sources have been sounding alarms over the sheer number of new projects being released into the market at the same time. That too when buyers are still working their way back into the market.